Qatar has become the first Arab Gulf nation to allow some of its long-time foreign residents get a permanent residency visa. In September last year, Qatar's ruler Sheikh Tamim bin Hamad Al Thani signed a decree permitting 100 expats a year to receive permanent residency in the emirate. The status allows expat access to the Qatar's efficient healthcare system as well as granting commercial rights normally reserved for Qatari citizens. The first of those hundred visas have started to be issued by the authorities. The strict requirements however makes this visa very hard to acquire. The permanent residency law gives priority to children born to a Qatari mother, as well as foreign nationals who have lived in the country for more than 20 years and are considered "valuable" for their skills. Expats will need to demonstrate a reasonable command of the local language, proof of self-financing and evidence of a sound legal standing within the country. As permanent residents, foreign expatriates investing in Qatar will no longer be required to have a Qatari citizen as their partners. The new law also allows them to own real estate in the country. Some two million foreign residents live in Qatar. Analysts say the new law is part of Emir Sheikh Tamim bin Hamad Al Thani's ambitious Vision 2030, which aims to create a sustainable and modern Qatar in the next 10 years. 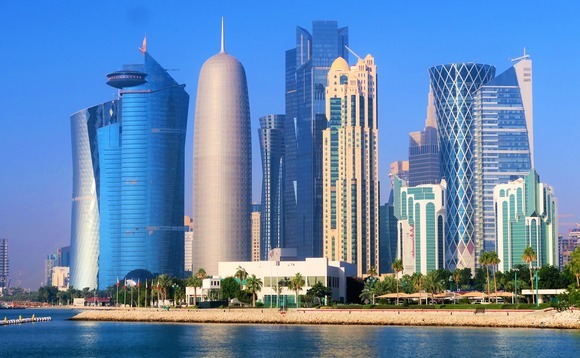 In June 2017, Bahrain, Saudi Arabia, the United Arab Emirates, and Egypt severed diplomatic ties with Qatar, accusing it of funding "terrorism" and fomenting regional instability - allegations Doha denies.